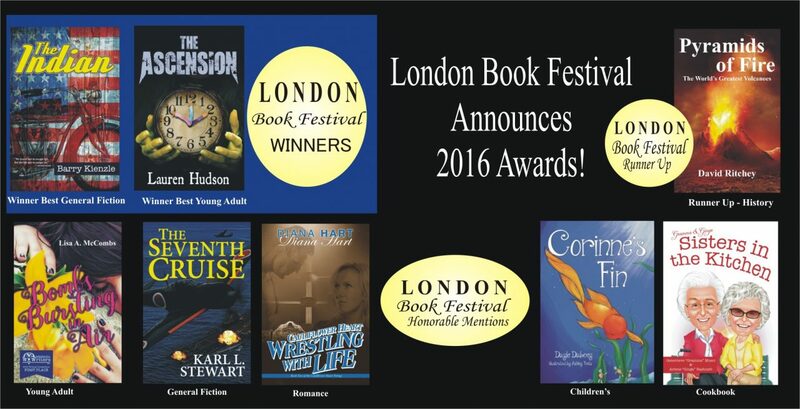 London –The London Book Festival announces 2016 awards. Included are eight Headline Books titles and two of them are Winners in the General Fiction and Young Adult Category this year! The Indian by Barry Kienzel wins Best General Fiction and young novelist, Lauren Hudson, wins Best Young Adult Fiction for The Ascension. Submitted works are judged by a panel of publishing industry experts based on general excellence and the author’s passion for telling a good story plus the potential of the work to gain a wider audience in the worldwide market. The London Book awards a grand prize $1500 appearance fee and a flight to London to their gala awards ceremony February 9, 2017. This year’s grand prize winner is The Mother Teresa Effect by Alicia Young. The story of a journalist who divided her time as a volunteer during Mother Teresa’s final Christmas. She journeyed to Calcutta (now Kolkata) to the Home for the Dying D estitute, later helping at a rural leprosy hospital.